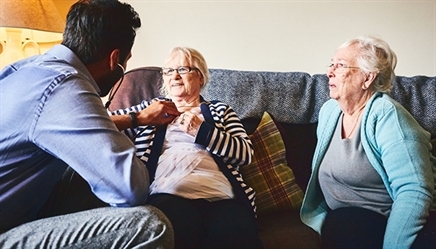 Guidance on key clinical areas and advice on prescribing for older people is provided in this learning plan aimed at locums and sessional GPs. The plan will also be useful for any healthcare professional who wishes to ensure they are up to date with key guidance on multimorbidity, chest pain, and suspected cancer. You can undertake the whole plan or individual modules based on your learning needs, and CPD credits can be claimed on each module. Update your colleagues and refresh your own knowledge using our ready-prepared slide sets on 15 key guidelines. Dr Ian Hill-Smith describes how to implement the latest NICE guidance on medicines optimisation to get the best possible outcome for patients in primary care while being cost-efficient for the NHS. Test your knowledge of recent clinical guidance, as covered by clinical guidance modules on MIMS Learning. Dr Heather Barry and colleagues considers appropriate prescribing in older people, including when to discontinue medications. Key learning points for healthcare professionals include managing non-adherence, and reducing medication burden. Dr Toni Hazell outlines how to implement the latest NICE guidance on the recognition and referral of suspected cancer in primary care. Dr Pipin Singh outlines the red flag symptoms to look out for in a child presenting with pyrexia of unknown origin.